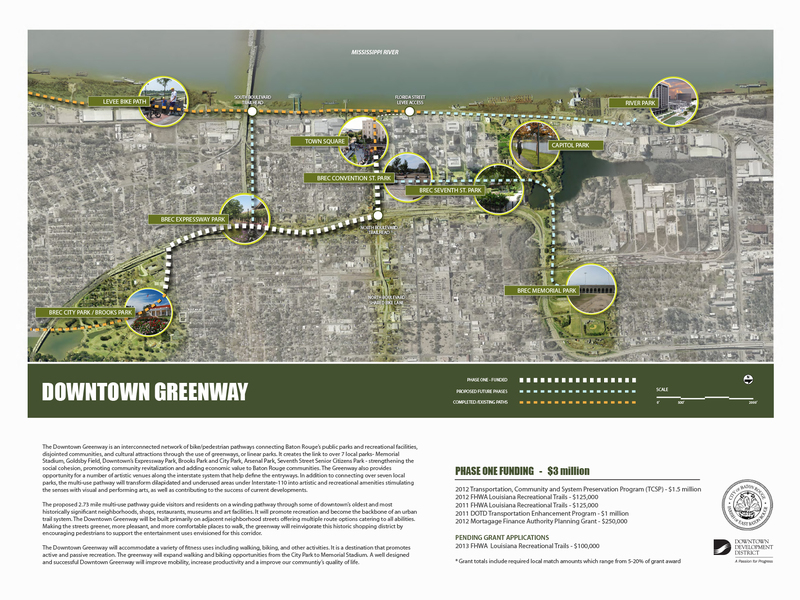 The Downtown Greenway is a pedestrian and bicycling corridor that links inner city residential neighborhoods to downtown parks, businesses, and cultural attractions utilizing the existing BREC parks, interstate infrastructure, and public right-of-ways. The creation of the Greenway is also intended to spur new investments and redevelopment in the city’s core. 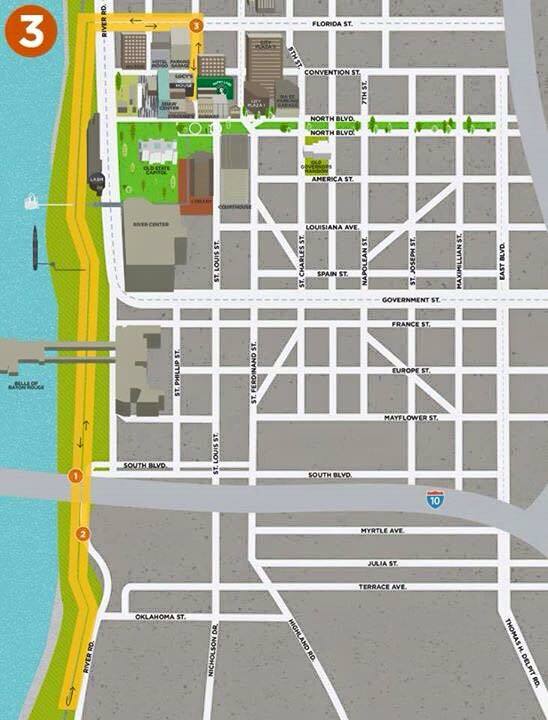 The Downtown Greenway’s schematic design was completed through the EPA’s Greening America’s Capitals program and Design Workshop is currently completing the final planning processes. Construction is complete on the first components of the Downtown Greenway at the Riverfront Access @ Florida St. and BREC’s Expressway Park. The Riverfront Access @ Florida Street project connects the Greenway to the Riverfront Levee Path and Expressway Park is a collaborative project between the Downtown Development District/City Parish and BREC. 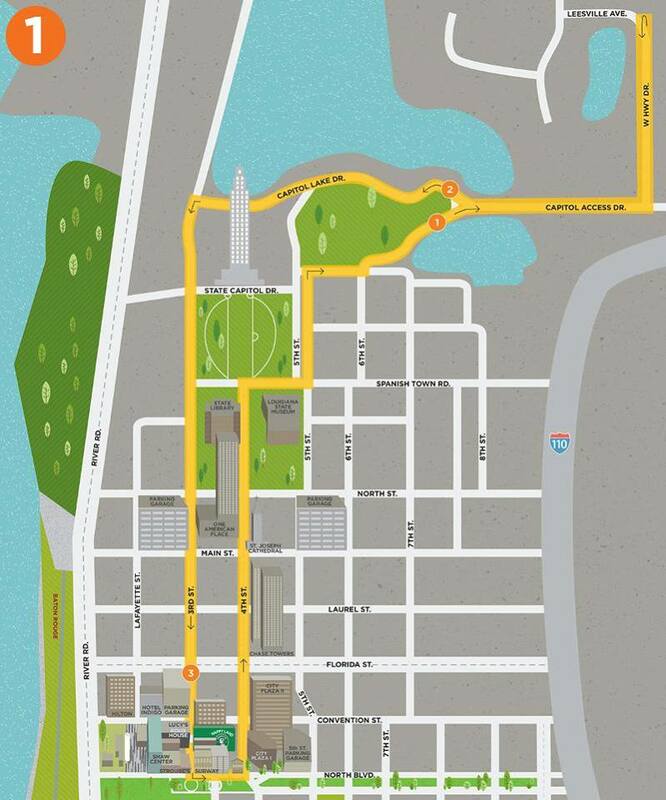 The walking paths, featuring three distances of one mile, two miles and three miles, is a step toward heart disease prevention and reducing heart disease death in the capital area. Heart disease is the No. 1 killer in Louisiana, according to the American Heart Association. The walking paths are sponsored by Albemarle Foundation, Amedysis and Milton J. Womack. The American Heart Association’s designated Walking Path program provides safe and accessible walking paths that give communities a resource that can be used to increase heart health. 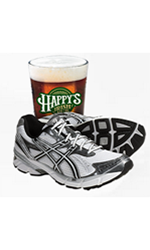 Happy’s Running Club is a combination of serious and recreational runners and a great resource for anyone looking for training partners for any running distance. 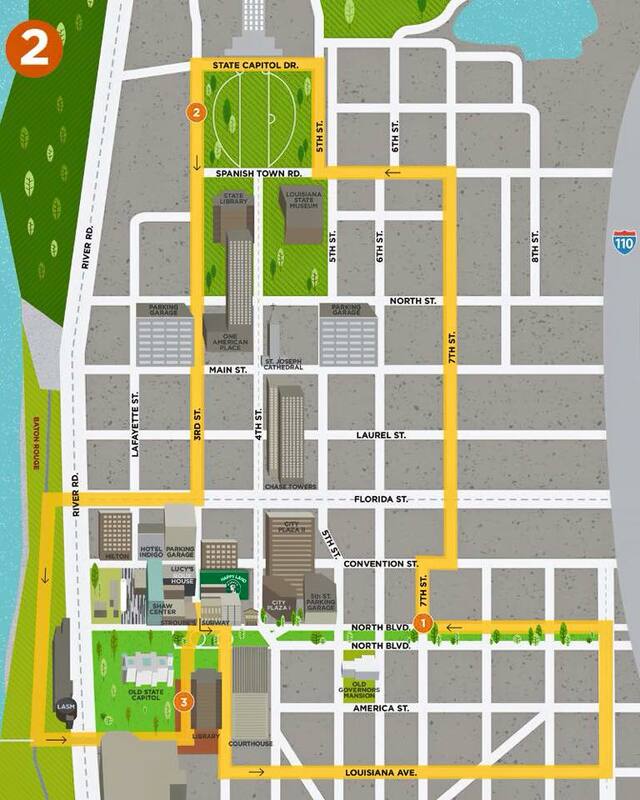 Organized runs are scheduled for every Tuesday at 6:00 p.m. (run begins at 6:15 sharp) – Starting at the Roux House Patio on 3rd Street downtown. The runs rotate between 5 routes in order to keep things fresh. Maps of the routes (located below) are provided before the weekly run. 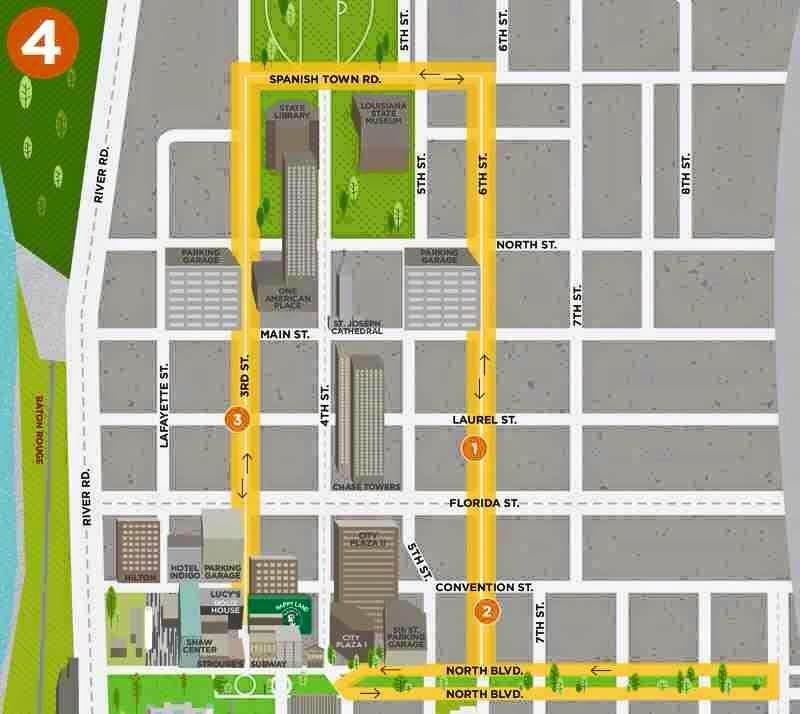 The YMCA running paths feature one, two, and three mile distances beginning at the downtown location, Charles W. Lamar Jr branch. 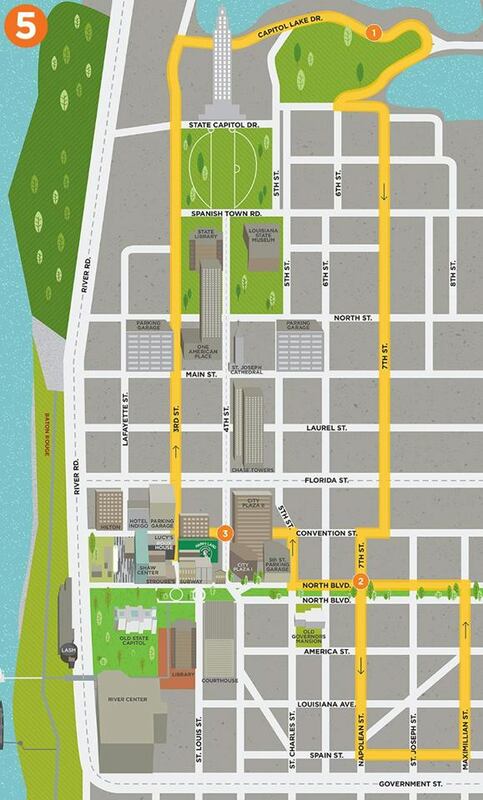 The branch is located near the state office buildings and IBM offices at 521 Third Street. The Charles W. Lamar Jr. YMCA is located in downtown Baton Rouge, and has been serving the area since 2001.